Billboard reports Petty and the band topped the charts for the first time in 37 years, since the late 1976 release of their self-titled debut record. “Hypnotic Eye” sold 131,000 copies in its opening week, according to Nielsen SoundScan. 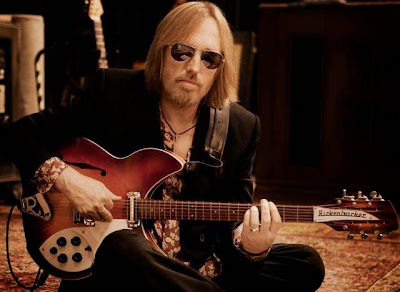 The feat marks the best debut sales week for Petty since SoundScan started tracking sales in 1991, and his best sales week overall (debut or otherwise) since 1994, when his solo album, “Wildflowers”, sold 161,000 in the week after Christmas. Petty’s last album, 2010's “Mojo”, debuted and peaked at No. 2 with 125,000 sold in its first week. Tom Petty and the Heartbreakers kicked off their Hypnotic Eye North American tour in San Diego, California on Sunday and fan-filmed video from the show is available here. Petty and opener Steve Winwood will play shows across the continent for the next two months, wrapping things up at The Forum in Los Angeles on October 10.